Home > Community > Teachers' Voices > Matthew's Classroom > New Posts > 40. SPORTS DAY! 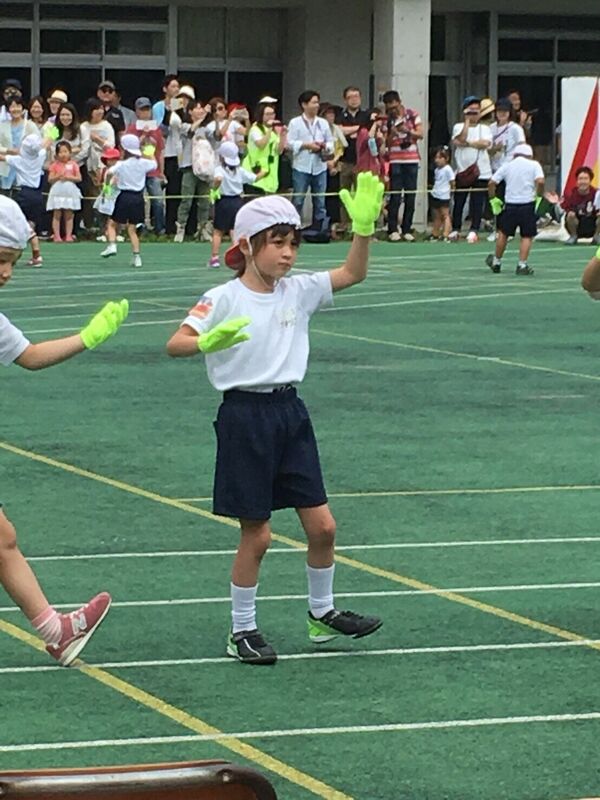 Last weekend was my eldest daughter’s Sports Day. She attends our local public elementary school and is in first grade, so this was her first big event with her new school. You can imagine how excited she was! A question mark had hung over the weather all week, and we had canceled our Sunday plans, totally expecting Saturday rain to postpone the day. But come Saturday morning, the clouds stayed away and a hot sun blazed down. Thankfully a light breeze offered some relief from the early summer heat. Among the several things my daughter and I have in common is the fact that this Sports Day was a first for both of us! For 24 years the students in my classes had talked about their Sports Days, but I had never been given an opportunity to actually attend one myself. I must say, I was very impressed with the drama and the fanfare of the Opening Ceremony. The two teams (The Red Team and The White Team) were introduced with passionate drum-beating and almost warrior-like chanting. The rivalry between them appeared serious, but with courtesy and mutual respect. The support and encouragement given to the participants of each race and event as the day progressed was outstanding. It was the ultimate display of true sportsmanship. As we watched, my family and I got nicely caught up in it all, and I barely noticed the sunburn slowly creeping on my neck! And in between her race and class dance performance, there was plenty for me to cheer because in fact many of my weekly students also attend this school! It was great seeing a different side to so many familiar faces! Students who are usually quiet in class, now appeared on the race-track sidelines cheering their team-mates on with fervor and amazing voice-volume! And those students who are usually noisy in class were now also noisy outside of class! One of my boys was in fact the head of the Red Team Supporters (Ouen-Dancho)! He led the chanting and Red Team encouragement with a voice that I swear could be heard across the whole neighborhood! Something else struck me about my students throughout the day. I noticed that just about all of them were extraordinarily friendly and comfortable communicating to a large number of different people; adults of all ages and other kids of all grades. My students displayed great social skills and appeared very willing to exchange words and a smile with anybody at all. Of course, their language on this day was Japanese, not English, still I was amazed at how they made themselves so popular and likeable. I felt myself feeling as much pride for them as for my own daughter! On my way out of the school after the Closing Ceremony, I bumped into the mother of the Ouen-Dancho. I congratulated her on her son’s terrific performance. He was the perfect Dancho, I told her. Her words rounded off a perfect day, and the bath and beer I had when I got home (ice cream for my daughters) were fantastic. It would be nice to take all the credit for my students’ progress. But much credit must go to LEARNING WORLD. No other textbook comes close in terms of giving students activities that involve communication and interaction, encourage acceptance and respect for others and at the same time build self-esteem!